A mix of clouds and sun. High 56F. Winds SE at 10 to 15 mph..
Generally clear. Low 42F. Winds SSW at 5 to 10 mph. RACINE COUNTY — A Mount Pleasant man has been arrested following a Wednesday chase of a vehicle connected to the killing of 32-year-old Marcellus Martinez of Racine, who was fatally shot Monday night in the 1700 block of LaSalle Street. Gerald Dirus Smith, 39, of the 2200 block of Howe Street, was charged with multiple crimes Friday, but no homicide charges have been filed. Smith allegedly led law enforcement from near Downtown Racine to the Town of Raymond, spanning 13 miles in a chase that at times exceeded 100 mph, according to the Racine Police Department. Smith faces up to 27 years in prison for attempting to flee or elude an officer, first-degree recklessly endangering safety, possession of cocaine and possession of THC. His bail has been set at $22,500 and he was being held in Racine County Jail as of Friday afternoon, according to online jail records. He has a preliminary hearing set for 9 a.m. Wednesday in Racine County Circuit Court. Smith was recently released from prison, according to police, after serving a sentence that started on Aug. 1, 2011 and ended on June 27, 2018. 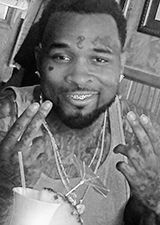 A Journal Times report from October 2010 shows that Smith was among 10 Racine residents indicted in federal court on drug distribution charges, for which he faced up to 40 years in prison. Police on Friday declined to say if Smith is considered a suspect in Monday’s homicide. Using eyewitness reports, the Racine Police Department learned that the vehicle which carried the gunman who reportedly killed Martinez was a Toyota RAV4 with Alabama license plates. Police then learned that a Toyota RAV4 with Alabama license plates was operated by Enterprise Rental Car in Racine. On Wednesday, at least six police officers successfully conducted “a surveillance operation” to locate the vehicle. At 2:30 P.M., the RAV4 was found near Smith’s home as Smith was driving it. After following the suspect vehicle in an unmarked police vehicle for more than five miles into Sturtevant, police attempted to initiate a traffic stop on 86th Street, but the RAV4 did not pull over. Smith, who was later identified as the only occupant of the vehicle, turned onto Buckingham Drive and sped up. The chase exceeded 110 mph and the fleeing vehicle drove on the wrong side of the road, police reported, as Smith attempted to flee on Buckingham Road, Broadway Drive, 97th Street, Michigan Street, Washington Avenue and Highway K, with multiple police vehicles from several departments in pursuit. Police attempted to set up spike strips to slow the vehicle along Highway K near Interstate 94, but Smith reportedly crashed into a tree in the front yard of a home about a mile west of the Interstate. The vehicle sustained “heavy and severe damage,” according to police. Several law enforcement officers, including one from the Wisconsin State Patrol, arrested Smith. A polyester face mask with brown and green camouflage. A white paper towel with dark stains on it. A document, about which police did not disclose the contents. Four knotted bags containing 1.3 grams of cocaine base. A 2-inch long THC-filled “blunt cigarette” weighing 1.8 grams. 1998: Battery to law officers/firefighters, a felony. 1998: Possession of a firearm by a felon, a felony. 2000: Obstructing an officer, a misdemeanor. 2002: Possession with intent to deliver cocaine, a felony. 2008: Obstructing an officer, a misdemeanor. 2010: Racing on a highway, a noncriminal offense.